Hear our collective voice as we represent local business to elected officials, government and the community. The Indie Biz Party of the Year. Follow the fun with AIBA members. 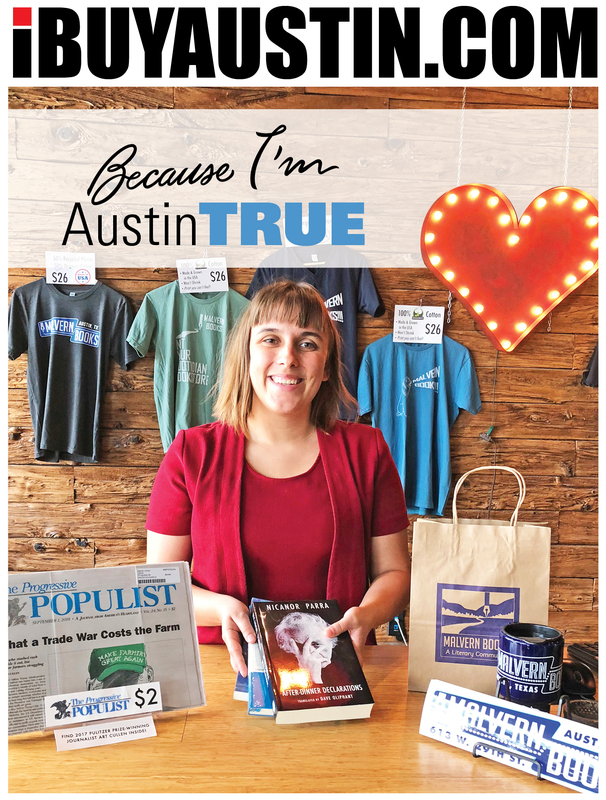 Yup, AIBA members are Certified AustinTRUE so you know they’re really local. Destination shopping districts of locally owned businesses for you to shop in. So they can relax with their cohorts and exchange ideas. Produce networking luncheons and breakfast meetings for members and future members. Including informative, educational and enlightening presentations. We create an environment and place for ideas to help local business thrive. Get your free copy at more than 350 locations in greater Austin. A plan for local government and local business. Spread the cheer locally by shopping at locally owned businesses throughout the holiday season. Better yet, why not all year long? To create vibrant community dialogue. To help our members succeed so you can shop with them. We all like to see what’s unique in our travels. So you can keep your money circulating in Austin. I treasure my AIBA membership for the contacts I’ve made and the networking opportunities organized each month. This unique group is informed, forward thinking, and committed to a culture that addresses business issues such as growth and recognition as well as focusing on whole person health as a balancing element.